DAVID LE/Staff photo. 3/27/15. 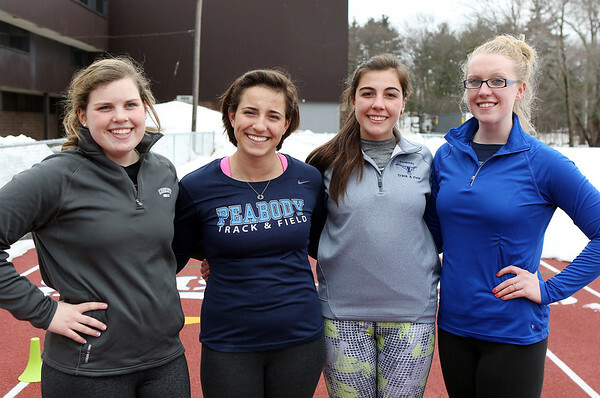 Four of the six Peabody High School senior captains for girls track are Allison Daly, Sabrina D'Angelo, Carrera Dean, and Kate Pence. Not pictured are Julia Merchant and Lauren Barrett.